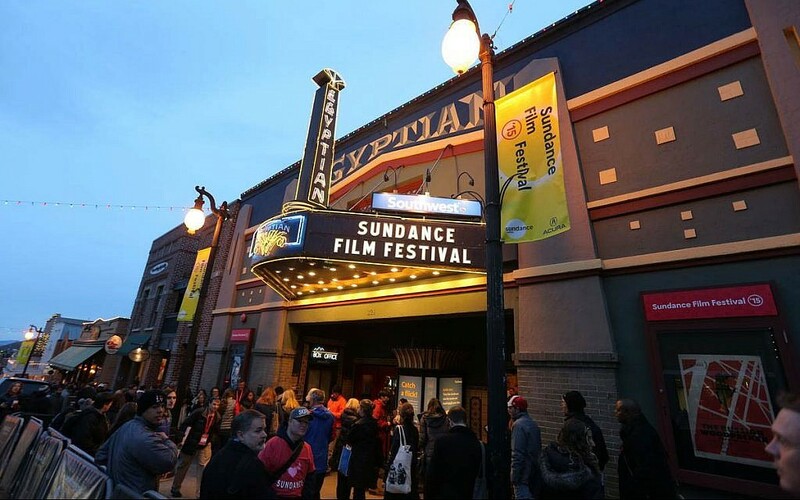 PARK CITY, Utah — The small skiing community of Park City went from “slalom” to “shalom” this week for the annual Sundance Film Festival, with many titles by or about Jewish people. As a regular attendee (this was my 10th consecutive visit) I can say the quality of the programming remains as consistent as the viciousness of the altitude sickness. (Seriously: how can anyone live at a 7,000-foot elevation?) When I wasn’t reapplying Vaseline to my lips or wincing from piercing gas build-up in my intestinal tract, I saw as many movies as possible. Here’s what went down that Times of Israel readers need to know about. There were, unfortunately, other documentaries that didn’t paint such a rosy picture. 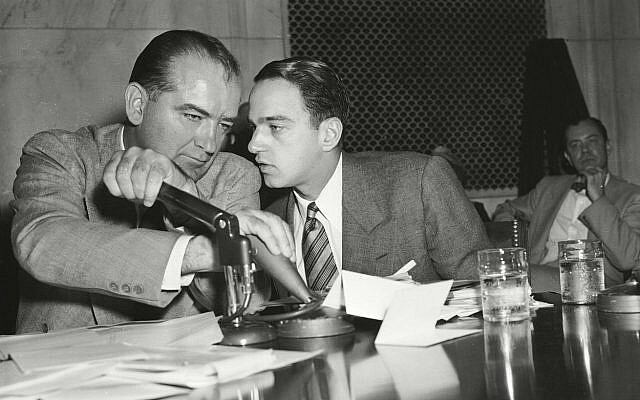 Roy Cohn, the Jewish, red-baiting lawyer who kicked off his career as a corrupt glutton for attention by prosecuting Julius and Ethel Rosenberg (and throwing gasoline on anti-Semitic sentiment) gets a thorough going over in “Where’s My Roy Cohn?” The title is a quote attributed to President Donald Trump, and the film connects the dots between Senator Joseph McCarthy’s bulldog assistant and the belligerent tactics of Mr. Trump’s campaign strategy. The film portrays Cohn as instrumental to Trump’s business career, making introductions to members of organized crime syndicates to help the Trump Tower project come together. If you want a full-frontal view of backroom deals, this movie is for you. I was unable to see “Untouchable,” a documentary about a different shanda (shame), Harvey Weinstein. Far more positive is the weird and flamboyant performance by Jake Gyllenhaal in “Velvet Buzzsaw,” a satirical horror film about to make its debut on Neftlix. Set in the easily lampooned world of the Los Angeles art scene, Gyllenhaal plays a critic whose reviews can kickstart or destroy a career. Things get strange when a junior art dealer discovers a cache of striking paintings in her dead neighbor’s apartment. Anyone who sells the work, however, ends up meeting a bloody (and absurd) demise. The story is preposterous, but the setting and the performances (including Rene Russo, Toni Collette and John Malkovich) sweeten everything like fizzy, sweet cola. A little darker, but also a strong performance, is Zac Efron in “Extremely Wicked, Shockingly Evil and Vile.” The former “High School Musical” star is the last person you’d expect as a serial killer, which is why it makes sense he’d play Ted Bundy, the “handsome” murderer who used his looks to lure victims in the mid-1970s. The film is not from his point of view, but rather that of his wife, who was the last one to believe that his husband could be responsible for such heinous crimes. Efron’s good looks and likable demeanor are used to excellent ends. 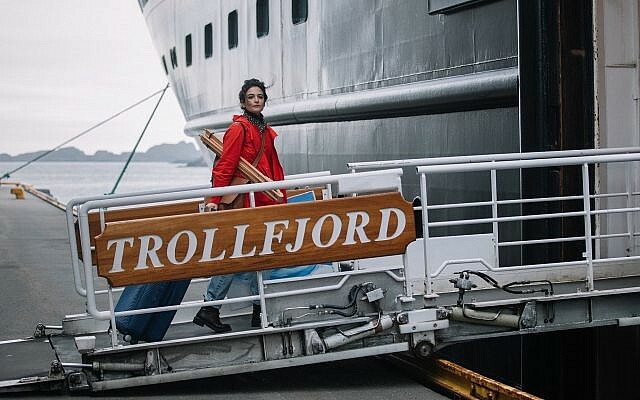 Another lovable Jewish performer, Jenny Slate, stars in the unfortunate clunker “The Sunlit Night.” Based on a book by Rebecca Dinerstein, Slate stars as a desultory art student who escapes her wacky family (David Paymer is a great Jewish dad with no censor) by taking an assistant position in Norway. Not all quirky comedies gel, and this is, sadly, a severe misfire — but I give it points for trying. It does feature a distinctive moment when a Jewish man wants to have a Viking funeral at the “top of the world,” so amusement park actors in ancient garb recite the kaddish prayer. 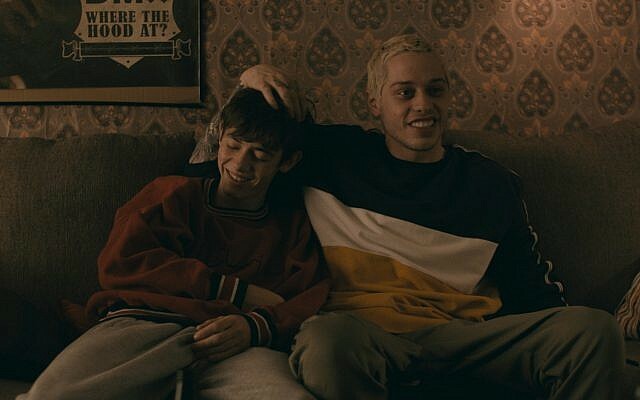 A breakout hit called “Big Time Adolescence” stars, of all people, “Saturday Night Live” comedian Pete Davidson as a 23-year-old loser who is the bad influence and idol of a 16-year-old “good kid” played by newcomer Griffin Gluck. First time writer-director Jason Orley is clearly writing from an autobiographical place, and while many non-Jews might miss it, the family at the center of this very funny, very heartfelt story are Members of the Tribe. “Have fun not being buried with the rest of us!” John Cryer, the annoyed father, shouts when his son lets his dopey friend convince him to get a tattoo. (There are also mezuzahs all over the place.) This film is poised to be a sensation when it comes out later in the year. And then there’s “Knock Down The House,” an interesting documentary about four outsider candidates to the US House of Representatives. Among them is superstar Alexandria Ocasio-Cortez, who is really quite enchanting and witty and explosive on camera. The movie is more campaign video than cinema verité, so I can’t say that I got to know the “real” her, though I did get a glimpse of her boyfriend, who seems very nice. Much of what “AOC” has to say is terrific, and by-and-large, I agree with her positions. But, somewhat belligerently, during one debate, she blurts out that the decision to move the US Embassy to Israel from Tel Aviv to Jerusalem was “a terrible foreign policy decision.” Ocasio-Cortez later Skyped into the theater from Washington for a post-screening Q&A to thunderous applause.